LDAP Integration is configured via MIDAS Admin Options → Manage Users & Permissions → Single Sign On (SSO). Host The IP/domain of your Active Directory server. This is the server against which individuals are authenticated within your network. To connect via LDAPS instead of LDAP, prepend the Host with "ldaps://". By default, connections will be made on port 389 (LDAP) or 636 (LDAPS). To connect on a different port, specify the Host as "hostip:port"
Bind To The Distinguished Name binding MIDAS should use to query your Active Directory. If selected, SSO access to MIDAS will be denied and the user will see the standard login screen. Debug With debugging enabled, failed and successful LDAP authentications will be logged to a "/debug-ldap.dat" file in your MIDAS directory. Warning: It is recommended to only enable Debug logging whilst troubleshooting integration with your AD. Once up and running, it's strongly advised to disable this logging, otherwise the log file can become very large! Clicking the "Save Changes" button will apply your settings. 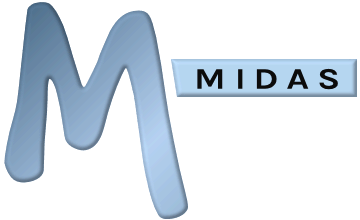 In addition, when you perform an LDAP Connection Test, MIDAS will attempt to retrieve a list of User Groups from your Active Directory, and add these names to the User Group list in MIDAS.